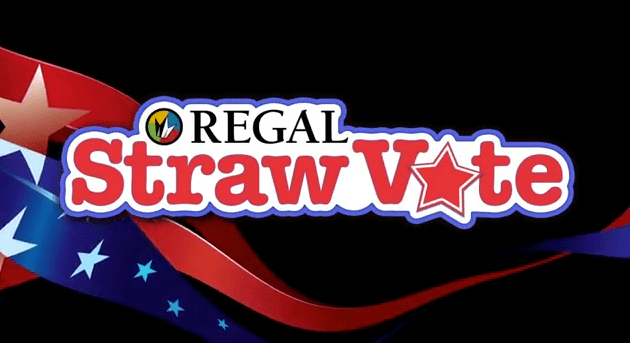 For the month of August Regal Entertainment Group will promote a patriotic ‘Straw Vote’ cause marketing campaign. Moviegoers ‘vote’ for either St. Jude Children’s Hospital or the Boys and Girls Clubs of America by choosing a flavor of medium or large frozen drink, for which Regal will donate 50 cents up to a maximum of $600,000. Sales of cherry drinks support St. Jude Children’s Hospital while all other flavors benefit Boys and Girls Clubs of America. This campaign is an interesting mash-up of a voting effort (typically conducted online, often on social platforms) and a purchase-triggered promotion. According to Russ Nunley, Regal’s VP of marketing and communications, a patriotic theme was chosen to tap into both Team USA Olympics pride and the start of political party conventions at the end of August. Regal hopes to increase sales of frozen drinks in medium and large sizes and will work to build enthusiasm among staff with frequent communications including vote updates via regional promo coordinators. Will it work? Only the straws will tell.